You can use the Bamboo SSH task to execute a SSH command on a remote computer as part of a Bamboo job. Click the name of an existing SSH task, or click Add Task and then SSH Task to create a new task. Complete SSH task configuration settings. 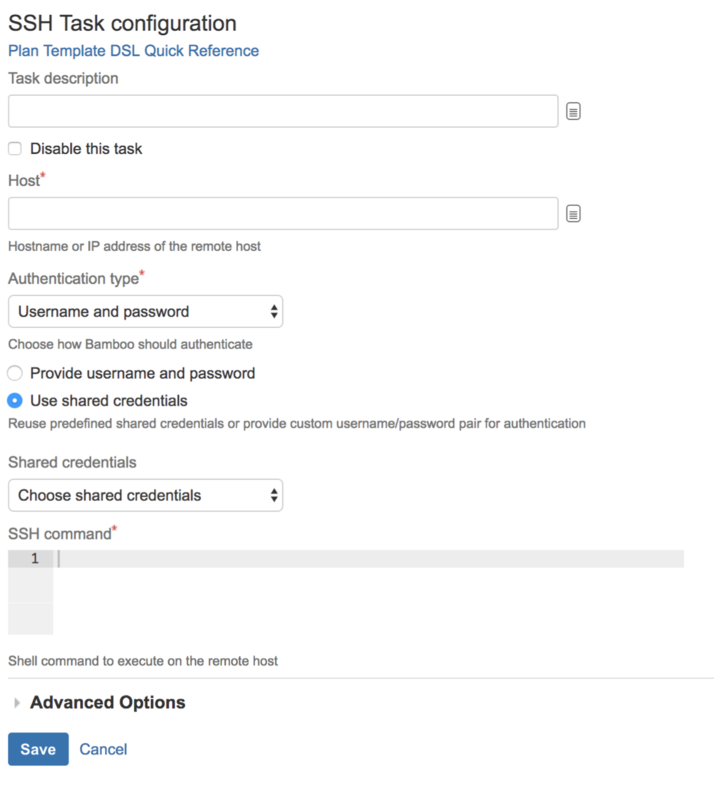 Starting from Bamboo version 6.3, you can choose shared credential as your authentication method. See Shared credentials. The shell command to execute on the remote host. You can only enter a single command here.